Bill and Margaret had previously worked together on the Waikato Millennium Foundation, set up when Margaret was city mayor (1989-1998) to develop and promote projects to mark the millennium season leading up to 1.1.2000. The result was eight projects including the Tui award winning children’s music and art CD and book combo M4M (Music for the Millennium) – with current Hamilton sensation Kimbra in her first compositions and recorded numbers. The foundation also produced a TV documentary and book combo ‘Waikato is the Name of the River”. 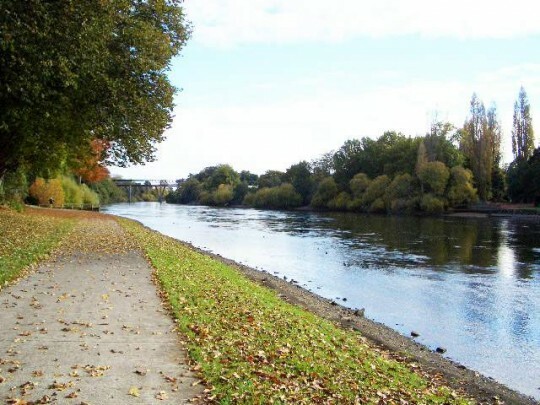 The only project not completed was the proposed $10.9 million Waikato River Millennium esplanade and car-free bridge linking the central city to Hamilton East. This has avoided political assassination since its 1998 launch, and has new visibility through the current Mayor Julie Hardaker’s push for a new city river plan taking into account past studies and projects. In 2001, Margaret and the Millennium Foundation, with the local councils of Hamilton, Waikato, and Waipa, hosted the 2002 Johannesburg World Summit on Sustainable Development Asia-Pacific Preparatory Meeting which brought some 52 international mayors and local government leaders to Hamilton. This was open to the public as well as councillors and local body staff.